This invitation for Expression of Interest follows the General Procurement Notice (GPN) which appeared in which appeared in Daily news Issue no. 12,304 dated 12th December, 2018. The Government of the United Republic of Tanzania has set aside funds for the operation of the Gas Company (Tanzania) Limited (GASCO) during the financial year 2018/19. It is intended that part of the proceeds of the fund will be used to cover eligible payment under the contract for conducting Environmental Audit (EA) for the Gas Pipeline. The EA study will cover Madimba Natural Gas Processing Plant, Songososngo Natural Gas Processing Plant and a total of 545.7 km Natural gas transportation pipeline which includes 487km of 36” onshore pipeline from Mtwara via Somangafungu gas receiving station in Kilwa district to Kinyerezi gas receiving station in Dar es Salaam, 28.7km of 24’’ offshore pipeline from Songosongo Island to Somangafungu gas receiving station and 30Km gas pipeline from Kinyerezi to Tegeta Dar es Salaam. The natural gas transportation pipeline carries natural gas from two gas processing plants namely; Songosongo in Songosongo Island and Madimba in Mtwara. Submission and follow up of the final audit report to NEMC for final scrutiny. The time line for this consultancy assignment is nine (9) months. Submission of evidence for payment of current NEMC annual subscription fee (Firm’s EA expert annual fee), Consultants may associate to enhance their qualifications. A consultant will be selected in accordance with the procedures set out in the Public Procurement Act No. 7 of 2011, Public Procurement Regulations, 2013 – Government Notice No. 446 as amended in 2016. This is not a Request for Proposals. After a review of the expression of interest, a shortlist will be prepared, and shortlisted consultants will be invited to submit their proposals through a letter of invitation including specific terms of reference. Interested eligible consulting firms may obtain further information from the office of the Secretary of Tender Board, Gas Company Tanzania Limited, Kinyerezi Gas Receiving Station, Plot No.1 Block D, Kibaga Street, Dar-esSalaam, Tanzania, Room number 4 on the 1st floor from 0900 and 1500 hours from Monday to Friday inclusive except on Public Holidays. Expressions of Interest (EoI) must be delivered to the address below in a sealed envelope by hand or courier at or before 11:00 hours on Wednesday, 20th February, 2019. The envelope outer cover shall be clearly marked Tender Number: “PA/157/2018-19/C/3 – CONSULTANCY SERVICES FOR CONDUCTING PIPELINE ENVORNMENTAL AUDIT – GAS PIPELINE’’ Not to be opened before 11:00 hours on Wednesday, 20th February, 2019. 10.Deadline for submission of Expressions of Interest shall be on Wednesday 20th February, 2019 at 11:00 hour’s local time. Received Expression of Interest will be opened promptly thereafter and in the presence of tenderers representatives who choose to attend opening ceremony at Kinyerezi Gas Receiving Station, Plot No.1 Block D, Kibaga Street, Dar-es-Salaam, Tanzania, Room number 04 on the 1st floor. 11.Late Expressions of Interest, Electronic Expressions of Interest, Expressions of Interest not received, Expressions of Interest not opened and not read out in public at the opening ceremony shall not be accepted for evaluation irrespective of the circumstances. Room No. 4, 1st floor. This Invitation for Tender follows the General Procurement Notice for this Project which appeared in PPRA Tender Portal and Daily News Issue no. 12206 dated 21st June, 2018. The Government of Tanzania has set aside funds for the operation of the Tanzania Petroleum Development Corporation during the financial year 2017/18. It is intended that part of the proceeds of the fund will be used to cover eligible payment under the contract for the Provision of Gas Pipeline Intelligence Pigging and Pipeline Integrity. The Tanzania Petroleum Development Corporation now invites sealed Tenders from eligible International Service Providers for Provision of Gas Pipeline Intelligence Pigging and Pipeline Integrity. Tendering will be conducted through the International Competitive Bidding procedures specified in the Public Procurement (Regulations, 2013 – Government Notice No. 446 and is open to all Tenderers as defined in the Regulations. Interested eligible Tenderers may obtain further information and inspect the Tendering Documents at the office of the Secretary of Tender Board, Tanzania Petroleum Development Corporation, Benjamin William Mkapa Pension Towers, Tower ‘A” Jamhuri/Azikiwe Streets, Dar-es-Salaam, Tanzania, Room number 101 on the 10th floor between 0900 and 1500 hours from Monday to Friday inclusive except on Public Holidays. All Tenders must be accompanied by a Tender Security of 2.5 percent of the contract amount in the format provided in the Tendering Documents. A sit visit will be on conducted on 3rd August, 2018 from 10:00hrs, bidders are required to assemble themselves at Kinyerezi Gas Receiving Station, Dar Es Salaam. All Tenders in one original plus two copies, properly filled in, and enclosed in plain envelopes must be delivered to the address Tanzania Petroleum Development Corporation, Benjamin William Mkapa Pension Towers, Tower ‘A”, Jamhuri/Azikiwe Streets, Dar-es-Salaam, Tanzania, Room number 401 on the 4th floor at or before Friday 21st September 2018, 11:00hours. Tenders will be opened promptly thereafter in public and in the presence of Tenderers’ representatives who choose to attend in the opening at the 10th Floor Room No. 106. Late Tenders, portion of Tenders, electronic Tenders, Tenders not received, and not opened and not read out in public at the Tender opening ceremony shall not be accepted for evaluation irrespective of the circumstances. FRAMEWORK AGREEMENT FOR SUPPLY OF MATERIALS AND SUPPLIES FOR CONSTRUCTION OF NATURAL GAS DISTRIBUTION INFRASTRUCTURES AND CONNECTION OF HOUSEHOLDS AND INDUSTRIAL CUSTOMERS. 1.This Invitation for Tenders follows the General Procurement Notice (GPN) for this Project which appeared in Daily newspaper, Issue no. 12,206 dated 21st June, 2018. The Government of the United Republic of Tanzania has set aside funds for the operation of Tanzania Petroleum Development Corporation (TPDC) during the financial year 2018/19. It is intended that part of the proceeds of the fund will be used to cover eligible payment under the Framework Agreement for Supply of Materials and Supplies for Construction of Natural Gas Distribution Infrastructures and Connection of Households and Industrial Customers. TPDC now invites sealed tenders from eligible tenderers for Supply of Materials and Supplies for Construction of Natural Gas Distribution Infrastructures and Connection of Households and Industrial Customers. Tendering will be conducted through the National Competitive Tendering procedures specified in the Public Procurement Regulations, 2013 – Government Notice No. 446 as amended in 2016, and is open to all Tenderers as defined in the Regulations. Interested eligible tenderers may obtain further information from and inspect the Tendering Document at the office of the Secretary, TPDC Tender Board at Benjamin William Mkapa Pension Towers, Tower “A” Jamhuri/Azikiwe Streets, Dar-es-Salaam, Tanzania, room number 101, 10th floor from 9.00 to 15.00 hours on Monday to Friday inclusive except on public holidays. A complete set of Tendering Document(s) in English language and additional sets may be purchased by interested tenderers on the submission of a written application to the address given under paragraph 5 above and upon payment of a non-refundable fee of Tshs. 100,000 (Tanzania Shillings One Hundred Thousand Only). Payment should be 2 made through CRDB Bank, Account Name: TPDC Main Account, Account Number: 01J1007309500 payable to Tanzania Petroleum Development Corporation. All tenders must be accompanied by a Tender Securing Declaration in the format provided in the Tendering Document. All tenders in one original plus two copies, properly filled and enclosed in sealed envelopes must be delivered to TPDC Head Office, situated at Benjamin William Mkapa Pension Towers, Tower ‘A’, Azikiwe/Jamhuri Streets, 4th floor, Room number 401 or be sent by registered mail or Courier Services to The Managing Director, TPDC, P.O. Box 2774, Dar es Salaam at or before 11:00 hours on 24th August, 2018.” Tenders will be opened promptly thereafter in public and in the presence of tenderers’ representatives who choose to attend the opening ceremony at TPDC Board room, 10th floor, room number 106 located at TPDC, Benjamin William Mkapa Pension Towers, Tower ‘A’, Azikiwe/Jamhuri Streets, Dar-es-Salaam. The outer cover shall be clearly marked “TENDER NO: PA/031/2018-19/G/91, FRAMEWORK AGREEMENT FOR SUPPLY OF MATERIALS AND SUPPLIES FOR CONSTRUCTION OF NATURAL GAS DISTRIBUTION INFRASTRUCTURES AND CONNECTION OF HOUSEHOLDS AND INDUSTRIAL CUSTOMERS, NOT TO BE OPENED BEFORE 11:00 HOURS ON 24TH AUGUST, 2018”. P.O. Box 2774, Dar-es-Salaam, Tanzania. Room No. 401, 4th floor. CONSULTANCY SERVICES FOR CARRYING OUT FEASIBILITY STUDY FOR CONSTRUCTION OF NATURAL GAS TRANSMISSION PIPELINE FROM DAR ES SALAAM (TANZANIA) TO UGANDA VIA TANGA, MWANZA AND KAGERA. This invitation for expression of interest follows the General Procurement Notice (GPN) which appeared in the Daily Newspaper, Issue no. 12,206 dated 21st June, 2018. The Government of the United Republic of Tanzania has set aside funds for the operation of the Tanzania Petroleum Development Corporation (TPDC) during the financial year 2018/19. It is intended that part of the proceeds of the fund will be used to cover eligible payment under the contract for the carrying out feasibility study for construction of Natural Gas Transmission Pipeline from Dar es Salaam (Tanzania) to Uganda via Tanga, Mwanza and Kagera. Conduct Project Environmental Baseline Study to identify project environmental specific benchmarks and ensure the indicated adverse impacts are avoided or mitigated. The duration for the consultancy assignment is 30 weeks. Interested firms must provide information indicating that they are qualified to perform the services by submitting Consultant’s Profile, description of experience in performing at least three works of similar nature and magnitude, experience in performing similar task in similar conditions, availability of appropriate skills among staff, the interested firm shall show commitment to the Local Content requirement as per the Energy Policy, 2015 and Petroleum Local Content Regulations, 2017 etc. Interested firms should submit legal documents including but not limited to Registration certificates, MEMARTS, Business License, VAT Certificate, TIN Certificate, Notarized Power of Attorney, Tax Clearance Certificate, and Company Professional Practicing certificates such as ERB certification and other related registration certificates. The foreign firms may be exempted from local legal registration requirements during tendering process. Consultants may associate to enhance their qualifications. Foreign firms are strongly encouraged to associate with eligible and qualified local firms. A consultant will be selected in accordance with the procedures set out in the Public Procurement Act No. 7 of 2011 and the Public Procurement Regulations, 2013 – Government Notice No. 446 as amended in 2016. (Hereinafter called Procurement Regulations). Selection will be conducted through the Quality and Cost based selection procedures specified in the Public Procurement Regulations. This is not a request for proposals. After a review of the expression of interest, a shortlist will be prepared, and shortlisted consultants will be invited 2 to submit their proposals through a letter of invitation including specific terms of reference. Interested eligible consultants may obtain further information from the office of the Secretary, TPDC Tender Board, Benjamin William Mkapa Towers, Tower “A”, Azikiwe/Jamhuri Streets, P.O. Box 2774, Dar-es-Salaam, 10th floor, room number 101 from 9:00 and 15:00 hours on Monday to Friday inclusive except on public holidays. 9. Expressions of Interest (EoI) must be delivered to the address below in a sealed envelope by hand or courier on the 4th floor, room number 401 at or before 11:00 hours on 24th August, 2018. The envelope outer cover shall be clearly marked; Tender Number: “PA/031/2018-19/C/11 FOR CONSULTANCY SERVICES FOR CA RRYING OUT FEASIBILITY STUDY FOR CONSTRUCTION OF NATURAL GAS TRANSMISSION PIPELINE FROM DAR ES SALAAM (TANZANIA) TO UGANDA VIA TANGA, MWANZA AND KAGERA. Not to be opened before 11:00 hours on 24th August, 2018’’. 10.Deadline for submission of bids shall be on 24th August, 2018 at 11:00 hour’s local time. Expression of Interest will be opened promptly thereafter and in the presence of tenderers representatives who choose to attend opening ceremony at Benjamin William Mkapa Pension Towers, Tower “A”, Azikiwe/Jamhuri Streets, TPDC Boardroom, room number 106 on the 10th floor. 11.Late Expressions of Interest shall not be accepted for evaluation irrespective of the circumstances. The Government of United Republic of Tanzania has received financing from the African Development Bank towards the cost of the Institutional Support Project for Domestic Resource Mobilization and Natural Resource Governance (ISP-DRMNRG), and intends to apply part of the agreed amount for this loan to payments under the contract for Consultancy on Preparation of Gas Pricing Models. Study all relevant documents and scrutinize various qualitative and quantitative information related to natural gas pricing in the country. The task will require reviewing natural gas pricing mechanisms from other countries in the east African region, Africa or anywhere in the world which can help to formulate competitive gas prices. The review should among others, cover sector policies, laws and regulations and other literatures about the petroleum industry natural gas pricing. Develop an integrated pricing model for natural gas customers. The time line for the consultancy works is 16 weeks. Interested consulting firms must provide information indicating that they are qualified to perform the services by submitting consultant’s profile, description of at least three similar assignments, experience in similar conditions, availability of appropriate skills among staff, capacity to undertake the assignment etc. Interested firm should be legally registered, for Local Firms should be able to provide TIN, VAT and Business License while for International Foreign Firms should provide Certificate of Incorporation from the country where the firm has been registered as a Business entity or Certificate of Registration. The Consultant shall be a reputable firm or merger of firms and should demonstrate the necessary expertise in natural gas pricing, legal, technical and commercial fields in relation to petroleum industry. The firm should have practical knowledge and experience in advising issues related to natural gas pricing. The firm should indicate experience of undertaking at least three (3) works of similar nature. The lead Consultant must be a holder of at least Master degree in the field of Economics, Geoscience, Engineering, Petroleum Law, Energy or Finance with at least 10 years working experience in petroleum industry. Furthermore, a team leader should have experience in research and financial modelling and the Technical Team and staff must have the academic qualifications and experience in petroleum industry with the at least a degree in economics, marketing, law, finance, Geoscience and engineering, with a practical work experience of not less than 5 years and should have experience in performing/preparation of contracts in petroleum industry. Consultants are strongly encouraged to associate to enhance their qualifications. A consultant will be selected in accordance with the procedures set out in the Public Procurement Act No. 9 of 2011 and the Public Procurement Regulations, 2013 – Government Notice No. 446 and its amendment of 2016. Selection will be conducted through the Quality and Cost based selection (QCBS) procedures specified in the Public Procurement Regulations. Interested eligible consultants may obtain further information from the office of the Secretary TPDC Tender Board, Tanzania Petroleum Development Corporation, Benjamin William Mkapa Towers, Tower “A”, Azikiwe/Jamhuri Streets, P.O. Box 2774, Dar-es-Salaam, Room number 101 on the 10th floor between 9:00 and 15:00 hours from Monday to Friday inclusive except on Public Holidays. Expressions of Interest (EoI) must be delivered to the address below, in a sealed envelope by hand or courier at room number 401 on the 4th floor at or before 11:00 hours on 14th August, 2018. The outer cover shall be clearly marked; Tender Number “ISP-DRM-NRG/TZ/AfDB/CS07/QCBS/2018 CONSULTANCY SERVICE ON PREPARATION OF GAS PRICING MODELS”. Not to be opened before 11:00 hours on Tuesday 14th August, 2018. Deadline for submission of bids shall be on Tuesday 14th August, 2018 at 11:00 hour’s local time. Expression of Interest will be opened promptly thereafter and in the presence of Tenderers representatives who choose to attend opening ceremony at Benjamin William Mkapa Pension Towers, Tower “A”, Azikiwe/Jamhuri Streets at TPDC Board Room number 106 on the 10th floor. Tower “A” Azikiwe/Jamhuri Streets, Room No. 401, 4th floor. SUPPLY AND INSTALLATION OF SECONDARY STORAGE TO SUPPORT GEOPHYSICAL, GEOLOGICAL, RESERVOIR MODELING AND SIMULATION INFRASTRUCTURE. The Tanzania Petroleum Development Corporation (TPDC) has received funds from the World Bank towards the cost of Energy Sector Capacity Building project (ESCBP) and it intends to apply part of the proceeds of this credit to cover eligible payments under the contract for the Supply and Installation of Secondary Storage to Support Geophysical, Geological, Reservoir Modeling and Simulation Infrastructure. The TPDC now invites sealed tenders from eligible tenderers for Supply and Installation of Secondary Storage to Support Geophysical, Geological, Reservoir Modeling and Simulation Infrastructure. Interested eligible Tenders may obtain further information from and inspect the Tendering Documents at the office of the Secretary, TPDC Tender Board at Benjamin William Mkapa Pension Towers, Tower “A” Jamhuri/Azikiwe Streets, Dar-es-Salaam, Tanzania, room number 101, 10th floor from 9.00 to 15.00 hours on Mondays to Wednesdays inclusive except on public holidays. A complete set of Tendering Document(s) in English language and additional sets may be purchased by interested Tenderers on the submission of a written application to the address given under paragraph 5 above and upon payment of a non-refundable fee of Tshs. 100,000 (Tanzania Shillings One Hundred Thousand Only). Payment should be made through CRDB Bank, Account Name: TPDC Main Account, Account Number: 01J1007309500 payable to Tanzania Petroleum Development Corporation. All tenders in one original plus two copies, properly filled in, and enclosed in sealed envelopes must be delivered to TPDC Head Office, situated at Benjamin William Mkapa Pension Towers, Tower ‘A’, Azikiwe/Jamhuri Streets, 4th floor, Room number 401 or be sent by registered mail or Courier Services to The Managing Director, Tanzania Petroleum Development Corporation, P.O. Box 2774, Dar es Salaam at or before 11:00 hours on 26th July, 2018. Tenders will be opened promptly thereafter in public and in the presence of Tenderers’ representatives who choose to attend the opening ceremony at TPDC Board room, 10th floor, room number 106 located at TPDC, Benjamin William Mkapa Pension Towers, Tower ‘A’, Azikiwe/Jamhuri Streets, Dar-es-Salaam. The outer cover shall be clearly marked Tender number: “TZ-TPDC-11306-GORFB FOR SUPPLY AND INSTALLATION OF SUPPLY AND INSTALLATION OF SECONDARY STORAGE TO SUPPORT GEOPHYSICAL, GEOLOGICAL, RESERVOIR MODELING AND SIMULATION INFRASTRUCTURE,”NOT TO BE OPENED BEFORE 11:00 HOURS ON 26TH JULY, 2018. INSPECTION OF OFFSHORE GAS PIPELINE FROM SONGOSONGO GAS PROCESSING PLANT TO SOMANGA FUNGU JUNCTION. This Invitation for Tenders follows the General Procurement Notice for this Project which appeared on the Tanzania Procurement Journal, Issue no. 12,037 dated 19th September, 2017. The Government of Tanzania has set aside funds for the operation of the Tanzania Petroleum Development Corporation (TPDC) during the financial year 2017/18. It is intended that part of the proceeds of the fund will be used to cover eligible payment under the contract for the Inspection of Offshore Gas Pipeline from Songosongo Gas Processing Plant to Somanga Fungu Junction. The TPDC now invites sealed Tenders from eligible service providers of Inspection of Offshore Gas Pipeline. Tendering will be conducted through the National Competitive Tendering procedures specified in the Public Procurement (Regulations, 2013 – Government Notice No. 446 and is open to all Tenderers as defined in the Regulations. Interested eligible Tenders may obtain further information from and inspect the Tendering Documents at the office of the Secretary, TPDC Tender Board at Benjamin William Mkapa Pension Towers, Tower “A” Jamhuri/Azikiwe Streets, Dar-es-Salaam, Tanzania, room number 101, 10th floor from 9.00 to 15.00 hours on Mondays to Tuesdays inclusive except on public holidays. A complete set of Tendering Documents in English language and additional sets may be purchased by interested Tenderers on the submission of a written application to the address given under paragraph 5 above and upon payment of a non-refundable fee of Tshs. 100,000 (Tanzania Shillings One Hundred Thousand Only). Payment should be made through CRDB 2 Bank, Account Name: TPDC Main Account, Account Number: 01J1007309500 payable to Tanzania Petroleum Development Corporation. All Tenders in one original plus two copies, properly filled in, and enclosed in sealed envelopes must be delivered to the address, TPDC Head Office, situated at Benjamin William Mkapa Pension Towers, Tower ‘A’, Azikiwe/Jamhuri Streets, 4th floor, Room number 401 or be sent by registered mail or Courier Services to The Managing Director, TPDC, P.O. Box 2774, Dar es Salaam at or before 11:00 hours on 18 th May, 2018. Tenders will be opened promptly thereafter in public and in the presence of Tenderers’ representatives who choose to attend the opening ceremony at TPDC Board room, 10th floor, room number 106 located at TPDC, Benjamin William Mkapa Pension Towers, Tower ‘A’, Azikiwe/Jamhuri Streets, Dar-es-Salaam. The outer cover shall be clearly marked Tender number “PA/031/2017-18/N/39 – LOT 1, FOR INSPECTION OF OFFSHORE GAS PIPELINE FROM SONGOSONGO GAS PROCESSING PLANT TO SOMANGA FUNGU JUNCTION,” NOT TO BE OPENED BEFORE 11:00 HOURS ON 18 TH MAY, 2018. This invitation for expression of interest follows the General Procurement Notice (GPN) for this project which was published in the UN Development Business (UNDB online) and the African Development Bank’s Internet Website (www.afdb.org) on 30th November,2017 and on the African Development Bank Group’s Internet Website. The Government of United Republic of Tanzania has received financing from the African Development Bank towards the cost of the Institutional Support Project for Domestic Resource Mobilization and Natural Resource Governance (ISP-DRMNRG), and intends to apply part of the agreed amount for this loan to payments under the contract forConsultancy Services for Undertaking Studies on Commercial, Technical and Market Analysis for Domestic and Regional Market Including Structuration of midstream and downstream market. f) Analyze and establish commercial aspects of potential natural gas markets and identify possible factors that may drive natural gas market locally and across the border; The time line for the consultancy works is 12 weeks. Interested Individual consultant must provide information indicating that are qualified to perform the services by submitting proposal contain updated detailed CV’s, methodology, work plan. description of at least five (5) studies of similar natureand magnitude during his/her carrier, must indicate experience in at least one similar assignment performed in the similar environmental conditions (SubSaharan Africa),including name and address of the client, description of the assignment undertaken. Interested individual consultant must also submit financial Proposal in writing. The opening of CVs shall take place immediately after the deadline for submission, at the Benjamin William Mkapa Pension Towers, Tower “A”, Azikiwe/Jamhuri Streets at TPDC Board Room number 106 on the 10th floor. Applying individual consultants are invited to attend the opening ceremony. An individual consultant will be selected in accordance with the procedures set out in the Public Procurement Act No. 7 of 2011 and the Public Procurement Regulations, 2013 – Government Notice No. 446 (hereinafter called Procurement Regulations) as amended. CV’s shall be evaluated on the basis of the criteria shown in the Terms of Reference. Only individual Consultants scoring above 70% shall be engaged depending on their availability to carry out the assignments. Prospective Individual Consultants are required to collect the Terms of Reference from the Secretary TPDC Tender Board, Tanzania Petroleum Development Corporation, Benjamin William Mkapa Towers, Tower “A”, Azikiwe/Jamhuri Streets, P.O. Box 2774, Dar-es-Salaam, Room number 101 on the 10th floorduring working days (Monday to Friday) between 9:00 and 16:00 hours. Tel: +255-22 2200103-4, 2200112, Fax: +255-22-2200113. Armour Energy (Uganda), an oil and gas exploration company, licensed to undertake exploration activities in the Kanywataba license area in Ntoroko District, in Uganda, invites experienced, reputable and qualified service providers to express interest in the supply of line clearing and soil sampling services. The supply is for the hand clearance of vehicle access along old seismic survey lines, the cutting of new access lines, the surveying of sample collection sites using a hand held GPS, and the collection and handling of samples in the approved manner as set out in the TOR. Company documents in relation to NSSF registration and clearance, tax clearance, relevant insurance cover for company employees and other relevant documents. Compliance with National Content Regulations and 2016 Upstream Petroleum Regulations and relevant company documents in confirmation of this aspect. At least three reputable references regarding his integrity, diligence and work quality as well as financial ability to accomplish jobs. AEL shall be free to contact such references without requiring any approval from the applicant. Expression of interest in response to this advert and any relevant supporting documents must be labelled ‘Expression of interest’ with the reference number as indicated above and returned to the Company addressed to: The Contracts and Procurement Department, Armour Energy (Uganda) Ltd, Kampala, Uganda on or before 17h00 on 5th May 2018 or via email to tburinguriza@armourenergy.com.au. Note: Only prequalified bidders will receive invitations to submit bids in furtherance of the Call for Tender process. Armour Energy Uganda Limited (AEUL) invites experienced, reputable contractors that have demonstrable capacity, technical and financial ability, willingness and availability to provide environmental and social consultancy services for various exploration activities in the Kanywataba License Area in Uganda to respond to this expression of interest. The Kanywataba License Area is located in the Albertine Graben in the district of Ntoroko. The requirements for environmental and social services to support the exploration activities shall include but not be limited to an advanced safety culture and strong environmental awareness in the undertaking of environmental studies including determining project environmental briefs, environmental impact assessments, development of environmental and social management plans, environmental and social audits, stakeholder engagements, information disclosure sessions, grievance recording and submission of permit applications. Interested companies that meet the minimum requirements and have the capability to provide the services listed above should submit their Expression of Interest clearly marked ‘Expression of interest’ with the reference number as indicated above and returned to the Company addressed to: The Contracts and Procurement Department, Armour Energy (Uganda) Ltd , Kampala, Uganda on or before 17h00hrs on 28th April 2018;.or via email to: tburinguriza@armourenergy.com.au. The Government of United Republic of Tanzania has received financing from the African Development Bank toward the cost of the Institutional Support Project for Domestic Resource Mobilization and Natural Resource Governance (ISP-DRMNRG), and intends to apply part of the agreed amount for this loan to payments under the contract for Consultancy Service for Liquefied Natural Gas (LNG) Transaction Advisor for the Government Negotiation Team (GNT). The objective of the assignment includes services but not limited to the following; i. To develop a workable commercial, legal and technical framework/terms for the LNG project; ii. To build capacity and facilitate the GNT team, and iii.To device the best approach to undertake negotiations of the Host Government Agreement (HGA). The duration for the implementation of this assignment is two (2) years. The Tanzania Petroleum Development Corporation now invites eligible consultants to indicate their interest in providing these services. Interested consultants must provide information indicating that they are qualified to perform the services (brochures, description of similar assignments, experience in similar conditions, availability of appropriate skills among staff, etc.). Consultants may constitute jointventures to enhance their chances of qualification. Eligibility criteria, establishment of the short-list and the selection procedure shall be in accordance with the African Development Bank’s Procurement Policy for Bank Group Funded Operations, October 2015, which is available on the Bank’s website at http://www.afdb.org. Interested consultants may obtain further information at the address below during office hours between 9:00 and 15:00 hours from Monday to Friday inclusive except on Public Holidays. Expressions of interest must be delivered to the address below by hand or courier by 04th May, 2018 at 11:00 hours and mentioned on the envelope “EOI NO. ISP-DRMNRG/TZ/AfDB/CS13/QCBS/2017 Expression of Interest for Consultancy Service for Liquefied Natural Gas (LNG) Transaction Advisor for the Government Negotiation Team (GNT)”. Date: 6 th April, 2018 1. This invitation for expression of interest follows the General Procurement Notice (GPN) for this project which was published in the UN Development Business (UNDB online) and the African Development Bank’s Group’s Internet Website. The Government of United Republic of Tanzania has received financing from the African Development Bank towards the cost of the Institutional Support Project for Domestic Resource Mobilization and Natural Resource Governance (ISP-DRMNRG), and intends to apply part of the agreed amount for this loan to payments under the contract for Consultancy Services to Develop the Local Content Implementation Strategy. Interested consulting firms must provide information indicating that they are qualified to perform the services by submitting consultant’s profile, description of at least three similar assignments, experience in similar conditions, availability of appropriate skills among staff, capacity to undertake the assignment etc. The Consultant shall be a reputable firm which should demonstrate the necessary expertise in developing strategies, and have adequate knowledge in legal, economics and commercial sectors. The lead Consultant must be a holder of at least Master’s degree in the field of Law, Economics, Planning or Finance with at least 10 years working experience which should include developing strategies and the technical team should have the following specific academic qualification and qualities; must possess at least degree in economics, law, finance and planning with working experience of not less than five (5) years. Added advantage will be given to a firm with knowledge in local content issues. Interested firms should be registered with relevant bodies such as but not limited to BRELA, ERB, TRA and CRB. Consultants are strongly encouraged to associate to enhance their qualifications. A consultant will be selected in accordance with the procedures set out in the Public Procurement Act No. 7 of 2011 and the Public Procurement Regulations, 2013 – Government Notice No. 446 and its amendment of 2016. Expressions of Interest (EoI) must be delivered to the address below, in a sealed envelope by hand or courier at room number 401 on the 4th floor at or before 11:00 hours on Thursday 19 th April, 2018. The outer cover shall be clearly marked; Tender Number “ISP-DRMNRG/TZ/AfDB/CS03/QCBS/2018 CONSULTANCY SERVICES TO DEVELOP THE LOCAL CONTENT IMPLEMENTATION STRATEGY”. Not to be opened before 11:00 hours on Thursday, 19 th April, 2018. Late and electronically submission Expressions of Interest shall not be accepted for evaluation irrespective of the circumstances. ACQUISITION AND PROCESSING OF 3D SEISMIC DATA IN BLOCK 4/1B. Date: 6th April, 2018 1. This Invitation for Tender follows the General Procurement Notice (GPN) for this Project which appeared in Tanzania Procurement Journal Issue no. 12,037 dated 19th September, 2017. The Government of the United Republic of Tanzania has set aside funds for the operation of the Tanzania Petroleum Development Corporation (TPDC) during the financial year 2017/18. It is intended that part of the proceeds of the fund will be used to cover eligible payment under the contract for the Acquisition and Processing of 3D Seismic Data in Block 4/1B. TPDC now invites sealed tenders from eligible contractors registered for carrying out the Acquisition and Processing of 3D Seismic Data in Block 4/1B. Tendering will be conducted through the International Competitive Tendering method specified in the Public Procurement Regulations, Government Notice No.446 of 2013 as amended in 2016 and is open to all Tenderers as defined in the Regulations. Interested eligible Tenderers may obtain further information from and inspect the Tendering Document at the office of the TPDC Tender Board Secretary located at TPDC head office, Benjamin William Mkapa Pension Towers, Tower “A” Jamhuri/Azikiwe Streets, Dar-es-Salaam, Tanzania, room number 101, 10th floor from 9.00 to 15.00 hours on Mondays to Fridays inclusive except on public holidays. A complete set of Tendering Document(s) in English language and additional sets may be purchased by interested Tenderers on the submission of a written application and upon payment of a non-refundable fee of Tshs. 100,000 (Tanzania Shillings One Hundred Thousand Only). Payment should be made through CRDB Bank, Account Name: TPDC Main Account, Account Number: 01J1007309500 payable to Tanzania Petroleum Development Corporation. All tenders in one original plus two copies, properly filled in, and enclosed in sealed envelopes must be delivered to the address TPDC Head Office, situated at Benjamin William Mkapa Pension Towers, Tower ‘A’, Azikiwe/Jamhuri Streets, 4th floor, Room number 401 or be sent by registered mail or Courier Services to The Managing Director, Tanzania Petroleum Development Corporation, P.O. Box 2774, Dar es Salaam at or before 11:00 hours on 30th April 2018. Tenders will be opened promptly thereafter in public and in the presence of Tenderers’ representatives who choose to attend the opening cceremony at TPDC Board room, 10th floor, room number 106 located at TPDC, Benjamin William Mkapa Pension Towers, Tower ‘A’, Azikiwe/Jamhuri Streets, Dar-es-Salaam. The outer cover shall be clearly marked Tender number “PA/031/2017-18/W/13 FOR ACQUISITION AND PROCESSING OF 3D SEISMIC DATA IN BLOCK 4/1B,” NOT TO BE OPENED BEFORE 11:00 HOURS ON 30th APRIL, 2018. 10.Late Tenders, Portion of Tenders, Electronic Tenders, Tenders not received, Tenders not opened and not read out in public at the tender opening ceremony shall not be accepted for evaluation irrespective of the circumstances. The Government of United Republic of Tanzania has received financing from the African Development Bank towards the cost of the Institutional Support Project for Domestic Resource Mobilization and Natural Resource Governance (ISP-DRMNRG), and intends to apply part of the agreed amount for this loan to payments under the contract for Consultancy Services to Develop Suppliers Database and Opportunities in the Extractive Sector. Test the developed data base and build the capacity of NEEC staff in data entry and reports production during the database testing phase. Provide Training to NEEC staff and support them to manage the system year after completion of the installation and launching of the data base. xii. Develop a system that will analyse the capacities of the local suppliers to assist in developing future capacity building programs. The time line for the consultancy works is 5 months. Interested consulting firms must provide information indicating that they are qualified to perform the services by submitting consultant’s profile, description of at least three similar assignments, experience in similar conditions, availability of appropriate skills among staff, capacity to undertake the assignment etc. Interested firm should be registered with relevant bodies such as but not limited to BRELA, TRA, etc. The Consultant shall be a reputable firm which should demonstrate the necessary expertise in database development, and the lead Consultant should have adequate knowledge in any of the following fields; Computer Science, Information Technology and Computer Engineering and any other related fields with at least 10 years working experience which should include Database Development. Expressions of Interest (EoI) must be delivered to the address below, in a sealed envelope by hand or courier at room number 401 on the 4th floor at or before 11:00 hours on 29th January, 2018. The outer cover shall be clearly marked; Tender Number “ISP-DRM-NRG/TZ/AfDB/CS04/QCBS/2018 CONSULTANCY SERVICES TO DEVELOP SUPPLIERS DATABASE AND OPPORTUNITIES IN THE EXTRACTIVE SECTOR”. Not to be opened before 11:00 hours on Monday, 29 th January, 2018. Deadline for submission of bids shall be on Monday, 29th January, 2018 at 11:00 hour’s local time. Expression of Interest will be opened promptly thereafter and in the presence of Tenderers representatives who choose to attend opening ceremony at Benjamin William Mkapa Pension Towers, Tower “A”, Azikiwe/Jamhuri Streets at TPDC Board Room number 106 on the 10th floor. NOTICE OF REQUEST FOR EXPRESSION OF INTEREST FOR CONSULTANCY SERVICES TO CONDUCT AN IMPACT ASSESSMENT IN NEW BASINS PROPOSED FOR PETROLEUM ACTIVITIES. services to conduct an impact assessment in the above New Basins proposed for Petroleum Activities. petroleum activities and possibly future licensing. a) Documents evidencing the general eligibility of the firm which shall include: a copy of the bidder’s valid trading license for 2017 or equivalent, a copy of the bidder’s certificate of registration or equivalent, Bidder’s transaction tax clearance certificate addressed to Ministry of Energy and Mineral Development or equivalent and registered or notarized powers of attorney. b) The firm should have specific experience of at least three similar assignments. c) The consultant(s) should be a team of professionals or a registered company or a consortium of companies with multi disciplinary professionals with a wide range of skills and experience in conducting impact assessments. d) Specifically the team should be composed of professionals, with a minimum experience of 10 years in the oil and gas sector or related field. e) A minimum average turnover of Ush 500Mn in the last 3 years. Please Provide audited books of accounts. f) Bank statements for the last 12 months. g) This Procurement is exclusively reserved for Companies that qualify under the Public Procurement and Disposal of Public Assets (PPDA) Guidelines on reservation scheme to promote local content in public procurement. Therefore the following documents should be provided as evidence of qualification in that regard. Consultants may associate with other firms in the form of a joint venture to enhance their qualifications. The form of association, where applicable, should be indicated in the Expression of Interest. Interested firms may obtain further information at the address below in 6 during office hours 8:00am – 5:00pm, Monday to Friday. at or before 10:00am of 21st December, 2017. The Planned Procurement Activity Schedule (subject to changes) is as follows. Welcome to the 2018 National Supplier Database for the Oil and Gas Sector in Uganda. The Authority shall publish the list of companies/persons/entities to provide goods, works and services for petroleum activities in the National Supplier Database by 31st December of each year. To achieve this process PAU wishes to establish the following timelines. There shall be an announcement every year by the 31st December and a possible update as may be determined and announced by the Authority. Receipt of applications for the 31st December announcement shall start on 1st of September of every year and shall close on the last day of October. Only companies/entities/persons that have applied at least 2 months prior to the publication date indicated above shall appear on the register for that year once verified and qualified. Clarification on the Tenure on the NSD. A company, entity or person shall remain on the NSD for one year after which will be required to reapply. Companies that are already on the 2017 NSD Register will be required to fill Form 2 as a way of updating their records and expressing interest to remain on the 2018 register. This FORM 2 will be made available online subsequently. For the period companies remain on the NSD, they will be free to update their information on the system whenever called upon. Proof of legal status and legal name: submission of an authentic and valid Certificate of Incorporation and/or registration. Submission of authentic, valid and up to date shareholding and management of the company or entity. Good market conduct for example there should be no reported cases of black listing of the company or entity or person applying for registration. Compliance with tax and social security requirements. Proof of nationality, tax registration and expertise for individual consultants. Verification will take not less than two months from the day of submission of an application and it involves verification of the information submitted with other government agencies including URSB, URA and NSSF for Ugandan companies and consultation with foreign missions in the country for foreign companies. The PAU will ONLY consider online applications submitted through our website. Interested persons and entities are invited to visit the PAU website:www.pau.go.ugand follow the link under NATIONAL SUPPLIER DATABASE to register. All Applications should reach the PAU’s website:www.pau.go.ug by Tuesday 31st October 2017 at 11:59pm EAT. Read carefully and follow all instructions. Please answer each question clearly and completely IN THE ENGLISH LANGUAGE. This form must be completed by all applicants seeking business opportunities in the oil and gas industry in Uganda. This form must be duly completed and submitted by an authorized officer of the applying entity. Where the information required is not applicable to your entity, clearly insert N/A in the space provided. Applicants MUST comply with the qualification requirements for the application to be considered complete. Incomplete applications may result in non-qualification. The Duly filled application form together with the required attachments as indicated in the form should be uploaded on the registration portal. The National Oil Corporation of Kenya (National Oil) invites Expression of Interest from eligible candidates from Kenya and/or International for Geochemical and Petro physical Laboratory collaboration. National Oil Corporation of Kenya (National Oil is a company wholly owned by the Government of Kenya and is charged with the mandate to participate in all aspects of petroleum business with a view to ensuring the security of supply and stability of pricing of petroleum in the country as well as enhancing value of the national petroleum resource through active exploration and development of Kenya’s sedimentary basins. The Corporation is a key tool of the Ministry of Energy and Petroleum in the efforts to promote petroleum exploration and development activities through enhancement of the quantity and quality of exploration data, undertaking own oil and gas exploration and as the holder of government equity in commercial discoveries. National Oil Corporation of Kenya invites Expressions of Interest (EOI) from qualified and experienced companies for Geochemical and Petrophysical laboratory collaboration. The main objective of this assignment is to undertake an aggressive routine and detailed analysis program that will be utilized to generate specific Data Packages. These packages that will consist of studies such as Petrophysical, basin modeling, etc. are very valuable to the overall story of Kenya’s potential as an oil & gas producer. In addition these packages can provide a direct revenue generation stream for all parties (i.e. sold to potential investors) and/or provided for free by National Oil or The Ministry of Energy and Petroleum to encourage more interest in the exploration potential of the country. By generating as much data as possible the risk for any exploration activities is reduced.The importance of these analysis cannot be emphasized enough; as this is the first step in generating any meaningful Data Packages. It is therefore imperative for National Oil to start generating and making available data from routine analysis of all rock samples within its possession – this is an essential starting point that can be undertaken by National Oil, in Partnership with an established geochemical lab for a specified time period. It is proposed that most of this work would be handled by National Oil with time. The detailed analysis to follow would initially be undertaken by the Partner lab due to the specialized equipment and expertise required. It is expected that National Oil lab could take on some of this work as expertise within the team grows. It is also important to note that, at the routine analysis stage, the large data stream could require more equipment than what National Oil will be initially requesting and would have in their set up. The Partner laboratory would not only handle the excess at this stage but would ensure that any data output for any routine and detailed analysis is in line with international practices and procedures, thus ensuring National Oil Laboratory with the necessary credentials required from international oil companies and investors. It is also the Partner lab’s mandate to ensure that any agreement provides and clearly shows knowledge transfer throughout the period of the agreement (e.g. training). The Partner laboratory would be able to assist in the presentations of the Data Packages to investors,as well as make available summary data that can be accessed via the internet to entice potentialinvestors. Another area would be presenting papers at specific symposium. Laboratories will provide specifications and quotation for various forms of geochemical and Petrophysical instrumentation, software, methodologies, installation, support, and training for the analysis of source and reservoir rocks, as well as associated oils and gases. Joint geochemical and Petrophysical studies involving the analyses of existing data samples from wells drilled. Revenue generation by providing geochemical analytical services to companies operating in the Kenya and the wider East African region. Provide details, including equipment required for Geochemical Approach: Oil and Gas Characterization, and Source Rock Evaluation. Multi-client geochemical and geological Surveys both onshore and offshore. Installation and equipping of a modern, fully functional geochemical and petro- physical laboratory. Capacity building by providing training and apprenticeships. Analytical, Interpretation, dissemination, brokering, marketing and licensing of geochemical, data through seminars, workshops, training, conferences and publications. Provide details of the key staff (four 4) earmarked for this assignment who must be qualified and experienced professionals in technical geochemical laboratory management. To be eligible the companies must meet the following criteria. Provide elaborate background and structure of the companies including relevant statutory incorporation/registration documents, physical address and correspondence details. This request for Expression of Interest seeks to identify and shortlist companies who will be invited to submit detailed bids through request for proposal to perform the above tasks. Expression of Interest should be submitted as one (1) original hard copy and one digital (electronic pdf format in a CD/USB copy). and deposited in the Tender Box located at the reception area 1st Floor Kawi House, South C, Red Cross Road, Off Popo Road (Behind the Boma Hotel), during normal working hours on Monday to Friday (0800hrs and 1700hrs East Africa Time), on or before 7 th September 2017 at 1000hrs East Africa Time. Expressions of Interest will be opened soon thereafter at the Meeting Room at National Oil offices-Kawi House, South C, Red Cross Road (Behind the Boma Hotel), Nairobi, in the presence of tenderers and/or their representatives who may wish to attend. The Petroleum Authority of Uganda (PAU) is a statutory body established under Section 9 of the Petroleum (Exploration, Development and Production) Act 2013, and in line with the National Oil and Gas Policy for Uganda which was approved in 2008. The PAU’s mandate is to monitor and regulate the exploration, development and production, together with the refining, gas conversion, transportation and storage of petroleum in Uganda. This includes ensuring that petroleum operations in Uganda are carried out in accordance with the relevant laws, regulations, guidelines, statutes and in line with international best practice for the petroleum industry. 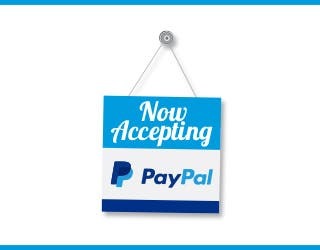 PAU will ONLY consider online applications submitted through our website. Interested persons are invited to visit the PAU website: www.pau.go.ug and follow the link to “OPPORTUNITIES-CAREERS-VACANCIES” to view details and apply for the available opportunities. All applications should reach the PAU’s website www.pau.go.ug by Friday 08th September 2017 at 11:59 pm. Applicants are required to scan and attach CERTIFIED copies of the required academic documents only e.g. Degree, Transcript, Diploma, A’level and O’level certificates and PLE Results Slip. The list of successful candidates will be published on the PAU website. Applicants whose names shall not appear on the list of successful candidates should consider themselves unsuccessful. All appointments shall be subject to a probationary period of not more than six months and subsequent confirmation in service will be based on satisfactory performance of the individual. SUB-COMPONENT C.1.2 – STIMULATE THE DEVELOPMENT OF DOWNSTREAM OIL AND GAS INDUSTRY. Oil exploration in Kenya began in 1954 before Kenya‟s Independence, after which upstream activities continued in varying intensities with a number of dry wells being drilled. In 2012, Tullow Oil announced the discovery of an oil potential of 300 million barrels of oil in Turkana rekindling Kenya‟s prospects of becoming an oil producing nation. So far nine discoveries have been made in South Lokichar Basin and with estimated recoverable resource at over 750 million barrels of oil, with the possibility that it will exceed 2 billion barrels of oil. Gas discoveries have also been reported Offshore Lamu and in the Anza basins. On the economic front, Kenya‟s GDP growth averaged at 5.3% between 2012 and 2015 and is projected to grow at 5.9% in 2016. The long term economic outlook is for annual GDP growth of 6.6%. Economic growth has led to the development of a downstream oil industry that has functioned independently from upstream activities being mainly serviced by imported products. Discovery of significant hydrocarbons that will make Kenya an oil producing nation will require the alignment of an established downstream sector to the new upstream sector. In addition to a fairly established downstream oil sector, growth in the economy has also led to increasing demand for power driven by a growing population, an established and growing manufacturing industry, and increasing urbanization. With prospects for indigenous gas and its potential role in the power sector, major gas finds could steer how the power sector evolves in the medium and long term calling for careful planning of how this is actualized. One of the major issues of concern for the Government of Kenya is to develop real local content aligned to the separate phases of each Oil and Gas sector development and with the capacity of Kenyan industries to supply to the standard of Oil and Gas requirements. This assignment is under the Ministry of Industry, Trade and Cooperatives (MOITC). The objective of this assignment is to review existing standards for upstream, midstream and downstream Oil and Gas, identify gaps in standardisation and provide recommendations. The scope of work for this consultancy will be to assist KEBS and MOITC to review existing standards for upstream, midstream and downstream Oil and Gas, determine standardization deficiencies or gaps that may hinder local participation and integration into the supply chain of the petroleum sector , identify key potential standardization areas in upstream, midstream and downstream to support local supply of goods and services to the Oil and Gas industry including indirect services like construction and induced services, and provide recommendations for addressing these gaps. Benchmark standards against other East African as well as West African countries. The Quality Assurance Department carries out two product certification schemes i.e. the Standardization Mark (S-Mark) which is a mandatory product certification scheme for locally manufactured products provided for under section 10 of the Standards Act Cap 496, Laws of Kenya and the Diamond Mark of Quality (D-Mark) which is a voluntary mark of excellence awarded to manufacturers (either based locally or abroad) who have demonstrated high degree of excellence in product manufacturing and quality. D-Mark permit holders thus qualify automatically for the standardization mark (SM) without any additional requirements. The permit to use the mark is valid for period of three years subject to satisfactory quality performance and full compliance to other contractual obligations signed between KEBS and the permit holder. The Product Certification Schemes provide confidence to consumers of the certified products that such products meet stringent quality requirements and therefore can be used by local content suppliers as an assurance scheme to penetrate markets in the oil and gas industry. Assess the capacity of KEBS staff to effectively carry out quality assurance in the oil and gas industry and identify the skills and competencies needed. Review existing product certification schemes in line with international best practices for the Oil and Gas industry and make recommendations on how to implement new certification schemes in Kenya and develop local capacity to audit/assess/certify. The National Quality Institute (NQI) was established on 18th February 2008 with the core mandate of entrenching a culture of quality in the Kenyan society. In addition to this noble duty NQI, advances quality management principles, practices and techniques within the Kenyan industry in support of vision 2030. As champion of the quality movement, NQI offers technologies, concepts, tools, and training to industry, quality professionals, quality practitioners and everyday consumers to entrench quality in our daily lives. It is the vision of KEBS that NQI will be used to support capacity building for suppliers to oil and gas industry to meet the stringent requirements demanded by both Direct, Indirect Service providers. The Inspection Department carries out Quality Inspection of Imports in Kenya through the Pre-Export Verification of Conformity to Standards (PVoC) which is a conformity assessment scheme to ensure health, safety and environmental protection from goods imported into Kenya operating under the ambit of Legal Notice No. 78 of 15th July, 2005. The program is also fully compliant with the provisions of Article 5 of WTO TBT Agreement. Products meeting requirements of this scheme are issued with a Certificate of Conformity (CoC) and for some sensitive products an Import Standardization Mark of Quality (ISM). The Market Surveillance Department carries out market surveillance of all products in the Kenyan market to ensure compliance with the requirements of Kenya Standards with regard to health, safety and environmental protection. The Kenya Bureau of Standards Metrology department is mandated to realize, maintain and disseminate the SI units of measurements for Kenya. KEBS became a full member of the General Conference of Weights and Measures (CGPM) of the Metre Convention and a signatory of the Committee of Weights and Measures Mutual Recognition Arrangement (CIPM-MRA) since Jan 2010. The primary function of the testing services is to provide tests in areas of Chemistry, Food, Microbiology, Material Engineering and Textiles. The test services are offered to both internal and external customers. It provides testing services to a wide range of clientele that include, but are not limited to: Manufacturers, Exporters, Non-governmental Organizations, Government Departments, Research institutions, Merchants and KEBS Quality Inspectors who implement Kenya Standards. These data must be validated with appropriate evidence. b) Identify gaps of laboratory service providers. c) Assess which laboratory services could be done by independent providers and which services should be done by KEBS facilities. Develop a clear strategy and related implementation plan based on the above analysis, with sequenced activities. Describe the technical, organizational and skills gaps that need to be closed to realize the potential in order to support oil and gas industry. Propose and rank „gap closing measures‟ in a cost-benefit approach. Review existing Kenyan policies, regulations, and legislative framework on standardization for oil and gas, and make recommendations. Draft sections, based on participatory research. Final report (in English, in hard and soft copy). The consultant will conduct a review of studies/reports which are not publically available (which will be provided to them upon contract signature) regarding the supply and demand assessments of the petroleum sector supply chain opportunities in Kenya. Based on the oil and gas industry review, as well as an assessment of relevant methodologies the consultant will develop a detailed methodology for standardization gap analysis. Once the methodology has been reviewed and cleared by the Project Implementation Team at MoITC, the consultant will organize a multi-stakeholder meeting of relevant stakeholders, to share the methodology, and get suggestions and guidance from stakeholders. The consultant will produce draft report sections highlighting the key findings. Each section should be submitted separately (consultants should propose appropriate schedule) to allow for review and feedback. All the items in the scope of work above should have their own section. At least two workshops should be conducted in this phase to obtain feedback on draft sections (in addition to the preparatory workshop outlined in the previous section). The consultant will circulate the full draft report (all sections) for comments and questions ahead of a final validation meeting with the multi-stakeholder group; including industry, government, and civil society representatives. The validation meeting should provide an opportunity to share and discuss findings with informed stakeholders, to get their concurrence and validation of findings. The consultant will be responsible for organizing and facilitating the meeting – including but not limited to aspects such as identifying a venue, identifying participants, developing an agenda, leading the meeting, and writing minutes. Based on feedback from the validation meeting, the consultant will produce a final report (in English, in hard and soft copy). Activities to be performed under this assignment by the Consultant will be part of the Kenya Petroleum Technical Assistance Project (KEPTAP). The Consultant‟s contract will be signed by MoITC. Consultants will report to the MoITC Project Implementation Team. No report or document related to this assignment shall be distributed to third parties prior to the approval by MoITC. The deliverables and supporting material from this consultancy shall be the property of the GoK. It is expected that the Lead Consultant will have a relevant years of experience in the design and implementation of standardization programs related Oil and Gas industries, value chain analysis, with multi-country experience, and has a history of delivering quality analytical, programmatic and actionable work. The team is expected to be made up of a minimum of 6 full time technical staff. All other staff will be expected to have relevant standardization experience in the oil and gas sector. At least one staff member will be expected to have a deep understanding of the Kenyan economy. Due to the large amount of stakeholder engagement and fieldwork in Kenya, at least one member, if not more, should be resident in Kenya in addition to the international experts. The lead consultant should have advanced degree in any of the following fields chemical engineering, mechanical engineering, petroleum engineering. At least one member of the team should had advanced degree in industrial economics. The consultant must demonstrate relevant years‟ of experience in standardisation with experience in Oil, Gas standardisation. The consultant to provide no more than three (3) examples of experience in the last ten years of relevant assignments with evidence of delivery. Demonstrate proven experience in Africa. The consultant must provide the names of the consultant team, their qualifications including relevant technical capabilities, and specific previous experience must be detailed as requested in the TOR. The Consultant shall describe all anticipated difficulties and make recommendations regarding how they will be overcome such difficulties during execution of the scope of work. Companies or Consortiums, which include a Kenyan company or a locally registered office employing, training and developing Kenyans will have an advantage. Under broad supervision, oversee a diverse portfolio with a comprehensive understanding of credit lines, financial analysis, and risk mitigation; Review and approve credit accommodations and terms at all levels of risk or difficulty in accordance with Business Practice 4- 10958 (Management Approval Matrix); Develop and maintain internal and external customer relationships, with emphasis on partnering with key leadership; Responsible for credit investigation and evaluation to balance risk factors for comprehensive evaluation; Manage collection of A/R from assigned customer portfolio and identify and resolve customer disputes. Assist in developing and implementing strategies to provide knowledge and expertise on customers regarding credit and delinquency resolution, difficult account solutions, and generally servicing accounts; Reviews or supervises portfolio of more junior staff. An undergraduate degree in Business Administration or a related field and 6+ years of experience in credit and collection, including experience in one-on-one contact with debtors. Previous experience as CFS Lead/Manager preferred. We bring out the best in wells – and people. Apply your leadership skills to this role at Halliburton. As a Cementing Service Leader, you will supervise assigned staff engaged in delivery of services and products. Job role assists in the development, mentoring, coaching, and knowledge gain of assigned staff. You will perform follow- up activities regarding job performance, evaluate service quality, and provide technical expertise and solutions to the customer. Requirements include a high school education or similar and 2 years as Cementing Service Supervisor III. Heritage Rukwa (TZ) Limited (“HRTZ”) is soon to embark on a tender process for a civil enabling works contract for oil exploration operations within the HRTZ 100% operated South Rukwa Tanzanian acreage. The proposed contract will cover all civil works required to enable drilling of one firm onshore exploration well and is expected to start in Q4 2017. The scope will generally include the upgrade of existing access routes, construction of new access track, one new well site and associated infrastructure such as camp, materials storage, flare pit and infield roads. There will be provision for reinstatement works if the well is abandoned. It will also include provision of a detailed delivery schedule and resource plan, production of quality assurance and as built documentation, regular meetings, liaising and reporting both to HRTZ and various relevant authorities. The successful/ appointed contractor will be requested to liaise with both our London based management team and with HRTZ Tanzanian based personnel. He will be required to provide and mobilize to the project area, all resources required to undertake the works, as required at varying stages throughout the project period. He must be fully compliant with Local Content requirements. The purpose of this email enquiry is therefore to gauge your interest in participating in the proposed tender process and to this end, we would request your written confirmation not later than 21st of April 2017. Should you confirm your interest in participating in this tender process, please note that we will require your company to complete our Prequalification Questionnaire, the evaluation of which will determine our final listing for participation in the detailedInvitation to Tender. We expect to issue the prequalification documents in late April. More detailed schedule and technical information will be made available as part of the tender process. Heritage Rukwa (TZ) Limited (“HRTZ”) is soon to embark on a tender process for the provision of technical and consultancy services for carrying out and issuing an Environmental Impact Assessment (EIA) Report for HRTZ drilling and drilling related operations on HRTZ’s 100% operated South Rukwa Tanzanian acreage. The proposed contract will cover planning, generation and delivery of EIA Report and National Environment Management Council (NEMC) certificate. The scope will generally include the provision of report / NEMC certificate and detailed delivery schedule, site visits, generation of Terms of Reference, preparation of a scoping report, provision of background information document, regular meetings and reporting to both HRTZ and relevant authorities. The successful/appointed contractor will be requested to liaise with our Tanzanian based management team and will also be required to provide in-country personnel and be fully compliant with local content requirements. The purpose of this email enquiry is therefore to gauge your interest in participating in the proposed tender process and to this end; we would request your written confirmation no later than 21st April 2017. Should you confirm your interest in participating in this tender process, please note that we expect to issue the detailed Invitation to Tender documents in late April. More detailed schedule and technical information will be made available as part of the detailed Invitation to Tender process. Job Purpose: · To develop, plan and execute a BU communication strategy, both internal and external, that delivers positive relations with key stakeholders, ensures stakeholder awareness and understanding of Tullow Kenya activities, and enhances the reputation of Tullow in Kenya and East Africa. · To develop and/or review communications such as press releases, speeches, publications or events to convey the desired Tullow image. · To compile crisis communication policy and serve as the principal contact for incoming communication from the media. · Advise BU Manager on all issues related to external communications, public relations and reputation. · Identify media opportunities to promote awareness of Tullow’s Oil and Gas activities in country. · Support the development and implementation of a consistent policy and approach to external corporate events including corporate sponsorships and donations etc. Reporting to the Director, COE he/she will be responsible for day to day running of the institution, implementing and maintaining excellent training programs and facilities. The Director will have the mandate of establishing a strong training, academic and linkages foundation for the Centre. Developing and implementing a master plan for the COE for training, academics and linkages in Oil and Gas production, processing, distribution and related issues. Developing systems, procedure and strategies for implementing the institutions mandate. Supervising and coordinating training, academics and linkage programs in the institution. Facilitating recruitment and selection of both academic and administrative staff. Coordinating the planning, development and review of training programs according to identified needs; · Translating Government policies into training programs that are relevant and up to date. Liaising with other academic institutions, stakeholders and national institutions in relation to training/academics and linkages. Identifying and engaging potential partners and donors to support the Institute both financially and materially to effectively carry out its mandate. Liaise with stakeholders e.g. CDAAC, SSAC · Monitor and ensure that the programs are run within the approved budgets. Master’s degree in Education. An earned PhD degree in a related field will be an added advantage. Ten (10) years working experience, five (5) of which should have been at the level of senior management of teaching/administration in Universities, Colleges or other institutions of higher education. Must be a member of a professional body in the related sector. The appointment will be for a contractual period of three (3) years renewable subject to satisfactory performance and delivery of set performance targets and outcomes. Suitably qualified candidates should apply in confidence to the address below enclosing CVs with full details of education background, professional qualifications, and attach copies of certificates and relevant testimonials. P.O. Box 73442, 00200 NAIROBI. All applications should be received not later than Friday, 12th August, 2016. Kenya Pipeline Company is an equal opportunity employer committed to diversity and gender equality. KPC/ADVT/20/2016) Overall Purpose Reporting to the Director, COE he/she will be responsible for Research and Innovation. The Deputy Director will have the overall mandate of establishing a strong Research and Innovation foundation for the Centre and be the research and innovation team leader. Developing and implementing a master plan for the COE for research and innovation in Oil and Gas production, processing, distribution and related issues. Developing and implementing a research and innovation strategy and associated policies that will promote innovation and business diversification. Ensuring effective research and innovation management. Liaising with academic and research institutions, other stakeholders and national institutions in relation to research and innovation. Identifying and engaging potential partners and donors to support the Centre both financially and materially to effectively carry out its mandate. Monitoring activities with regard to research targets and quality. Advising the Director on the research and innovation infrastructure needs of the Centre. Develop a consultancy capacity that will be a source of revenue to the Centre i.e. engage consultancy wing and seeking for consultancy businesses. Formulate and coordinate business expansion, development and diversification strategies. Deputize, advise the Director and undertake any other duty delegated by the Director. Master’s degree in Oil & Gas or related field. An earned PhD degree in a related field will be an added advantage. Ten (10) years’ working experience, five (5) of which should have been at the level of senior management of teaching/research/administration in Universities, Colleges or other institutions of higher education. Comprehensive knowledge and understanding of oil and industry requirements including broad knowledge of international trends. Ability to establish flexible multidisciplinary teams in an environment conducive to continuous learning, creativity, research and innovation. 1.1 Following the discovery of commercial oil reserves in the Tertiary Rift Basin in Kenya, the Government of the Republic of Kenya (GoK) has decided to develop crude oil export pipeline from Lokichar to Lamu Port (the Project). A Project Management Team consisting of members from the Government of Kenya, the International Oil Companies (IOCs) and other stakeholders shall oversee the implementation of the Project. The pipeline shall run from Lokichar to a marine terminal and offloading facility at the Port of Lamu. The pipeline shall employ the highest technical, health, environmental, social and safety standards to facilitate transportation of the crude oil from the oil fields to the market. 1.2 A feasibility study and preliminary engineering designs was undertaken and the Final Report adopted in June 2015. The crude oil in the Lokichar basin is waxy and is characterized by high pour point and a wax appearance temperature above 63°C. The Project will thus involve construction of a heated pipeline from Lokichar to Lamu with a length of approximately 855kmplus all other necessary facilities. 1.3 The GoK invites pre-qualification applications from local and international consultants to carry out Front End Engineering Design (FEED) activities for the proposed Project. These activities shall be performed in accordance with good international practice and shall include all the activities and deliverables as detailed in the Request for Proposal to be issued to those bidders who will be pre-qualified. 1.4 Individual firms or consortia may submit bids for either the FEED or the tender for a consultant to undertake the Environmental and Social Impact Assessment (ESIA), but not both. Firms that are members of a consortium for either FEED or ESIA cannot participate in the other. 1.5 During the term of this contract and after its termination, the selected bidder and any entity affiliated with the bidder, as well as any subconsultant and any entity affiliated with such sub-consultant, shall be disqualified from providing goods or works (other than the services and any continuation thereof) during the Engineering Procurement and Construction (EPC) phase of the Project. 1.6 The successful bidder will be eligible for tendering for the supervision of the EPC phase of the Project. 1.7 Individual firms or consortia who fulfill all of the requirements for FEED will be eligible for pre-qualification. Swala Oil and Gas Tanzania PLC plan to drill one exploration well in the Kilosa-Kilombero Block, onshore Tanzania in Q3 – Q4, 2016. The objective of this Expression of Interest is to shortlist firms experienced in providing the services listed above. TENDER NO. PA/031/2015-16/C/12 FOR CONSULTANCY SERVICE FOR CARRYING OUT ENVIRONMENTAL AUDIT FOR UBUNGO BLOCK VALVE STATION (BVS) VIA UBUNGO PRESSURE REDUCTION STATION (PRS) TO MIKOCHENI NATURAL GAS PIPELINE. This invitation for expression of interest follows the General Procurement Notice (GPN) which appeared in The Daily Newspaper Issue no. 11,472 dated 20th July, 2015. The Government of the United Republic of Tanzania has set aside funds for the operation of the Tanzania Petroleum Development Corporation (TPDC) during the financial year 2015/16. It is intended that part of the proceeds of the fund will be used to cover eligible payment under the contract for carrying out environmental audit for Ubungo (BVS) via Ubungo (PRS) to Mikocheni natural gas pipeline. The Expression of Interest will be conducted through National Competitive Selection (NCS) and follow the Procedure specified in the Public Procurement Regulations, 2013- Government Notice No. 446 and is open to all Consultants as defined in the Regulations. i) Facilitation of the registration of the project with NEMC by submitting an application for audit certificate. ii) Scoping to determine the scope of the investigation by setting boundaries of the study and identification of potentially significant environmental impacts. iii) Environmental audit based on the results of the scoping exercise and includes (but not limited to) stake holder consultation, literature review and field work. iv) Assess the social impact to present population along the pipeline route and the likely impacts of the project on their way of life. v) Review the results by submitting environmental audit report to National Environmental Management Council (NEMC) to be reviewed by across – sectoral Technical Advisory Committee (TAC). vi) Incorporation of the TAC comments by making corrections and improvements of the environmental audit draft report according to the comments and recommendations raised. vii) Submission and follow up of the final audit report to NEMC for final scrutiny. Interested consulting firms must provide information indicating that they are qualified to perform the services by submitting consultant’s profile, description of similar assignments, experience in similar conditions, availability of appropriate skills among staff, etc. Consultants may associate to enhance their qualifications. A consultant will be selected in accordance with the procedures set out in the Public Procurement Act No. 7 of 2011 and the Public Procurement Regulations, 2013 – Government Notice No. 446 (hereinafter called Procurement Regulations). In assessing the submissions, consideration will be given to the qualification, experience on similar assignment and the capacity to undertake the assignment. ONLY firms with demonstrated experience and excellent track records in providing consulting services will be considered for short listing. Interested eligible consultants may obtain further information from the office of the Secretary TPDC Tender Board, Tanzania Petroleum Development Corporation, Azikiwe/Jamhuri Streets, P.O. Box 2774, Dar-es-Salaam, Benjamin William Mkapa 2 Towers, Tower “A”, 10th floor, room number 101, from 9.00 and 15.00 hours on Monday to Friday inclusive except on public holidays. 10.Expressions of Interest (EoI) must be delivered to the Managing Director, Tanzania Petroleum Development Corporation, Azikiwe/Jamhuri Streets, P. O. Box 2774, Dar-es-Salaam, Benjamin William Mkapa Towers, Tower “A”, 4th floor, room number 401. Deadline for submission of bids shall be on Friday 25th March, 2016 at 11:00 hours local time. Expression of Interest will be opened promptly thereafter in the presence of Tenderers representatives who choose to attend opening ceremony at Benjamin William Mkapa Pension Towers, Tower “A”, Azikiwe/Jamhuri Streets at TPDC Boardroom number 106 on the 10th floor. The outer cover shall be clearly marked; TENDER NUMBER “PA/031/2015-16/C/12 – CONSULTANCY SERVICES FOR CARRYING OUT ENVIRONMENTAL AUDIT FOR UBUNGO BLOCK VALVE (BVS) VIA UBUNGO PRESSURE REDUCTION STATION (PRS) TO MIKOCHENI NATURAL GAS PIPELINE.” Not Open Before 11:00 hours on Tuesday, 29 th March, 2016. Reconstruction of an airstrip (existing) including clearing, leveling, compacting and access road improvement. The objective of this Expression of Interest is to shortlist firms capable of providing the services listed above. Major items of construction equipment proposed to carry out the services described above. Expressions of Interest, supported by the above details, will be accepted by email only at procurement@swala-energy.com under the subject title of EOI Civil Contractors and are required to be submitted prior February 19, 2016. The Government of Kenya (GoK) has received financing from the World Bank’s International Development Assistance (IDA) towards the cost of the Kenya Petroleum Technical Assistance Project (KEPTAP) whose overall objective is to strengthen the capacity of the Government of Kenya to manage its petroleum sector and wealth for sustainable development. It is intended that part of the proceeds of this credit be applied to eligible payments under the contracts for provision of consulting services of a Petroleum Expert. The consultancy will run for a period of 24 months with possibility of extension subject to satisfactory performance and work program requirements. The Ministry of Energy and Petroleum now invites eligible Individual Consultants to indicate their interest in providing the Services. Interested Consultants should provide information demonstrating that they have the required qualifications and relevant experience to perform the Services by submitting a curriculum vitae and a one page expression of interest. The attention of interested Consultants is drawn to paragraph 1.9 of the World Bank’s Guidelines: Selection and Employment of Consultants [under IBRD Loans and IDA Credits & Grants] by World Bank Borrowers January 2011 (“Consultant Guidelines”), setting forth the World Bank’s policy on conflict of interest. Further information can be obtained at the address below during office hours: Monday to Friday: 08.00 to 17.00 hours. Complete Expressions of Interest documents in plain sealed envelopes with consultancy reference and name clearly marked on top should be delivered in person, sent by mail or by email to the address shown below or placed in the tender box at our offices on the 24th Floor, Nyayo House, Kenyatta Avenue by 8th February 2016 at 1600 hours Kenyan local time. The Government of Kenya (GoK) has received financing from the World Bank’s International Development Assistance (IDA) towards the cost of the Kenya Petroleum Technical Assistance Project (KEPTAP) whose overall objective is to strengthen the capacity of the Government of Kenya to manage its petroleum sector and wealth for sustainable development. It is intended that part of the proceeds of this credit be applied to eligible payments under the contracts for provision of consulting services to develop a national communication strategy for petroleum sector development in Kenya. The consultancy will run for a period of 4 months. To develop a communication strategy and implementation plan for the Government of Kenya to communicate proactively and consistently to relevant stakeholders on the development of the petroleum sector in Kenya, the management and distribution of wealth, and the opportunities and challenges this generates for the Kenyan citizens. The Ministry of Energy and Petroleum (MoEP) through the Project Management Unit (PMU) (Client) now invites eligible consulting firms (“Consultants”) to indicate their interest in providing the Services. Interested Consultants should provide information demonstrating that they have the required qualifications and relevant experience to perform the Services. The shortlisting criteria are: At least 15 years of experience in the practice of developing communication strategies required, including experience in policy communication, media communication, strategic communication and other communication disciplines with a track record of accurately predicting communication campaign dynamics and outcomes. Solid experience in the development and use of communications tools and mechanisms, including the ability to commission opinion research and interpret its results and good experience in public sector in particular as it relates to the petroleum sector, an understanding of the local political, social and economic trends. A Consultant will be selected in accordance with the Consultant Qualification Selection (CQS) method set out in the Consultant Guidelines. Complete Expressions of Interest documents in plain sealed envelopes with consultancy reference and name clearly marked on top should be delivered in person, or by email to the address shown below or placed in the tender box at our offices on the 24th Floor, Nyayo House, Kenyatta Avenue by 17thFebruary 2016 at 1000 hours Kenyan local time. Swala Oil and Gas Tanzania PLC plan to drill one exploration well in the KilosaKilombero Block, onshore Tanzania in Q3 – Q4, 2016. Casing Accessories (API RP 10F Category IIIC) The objective of this Expression of Interest is to shortlist firms capable of providing the services listed above. Swala Oil and Gas Tanzania PLC (Swala) plans to drill one exploration well in the Kilosa-Kilombero Block and potentially a second well (option) in the Pangani Block onshore Tanzania. The primary focus of this rig survey is for the Kito 1 Exploration Well in the Kilosa-Kilombero Block. Due to the wet season and wetland conditions drilling must be undertaken spudding in Early September 2016. The purpose of this Market Survey is to develop a short list of viable rigs to be included in the required tender process to take place in February 2016. The area is very remote and will require mobilization through Ifakara and into the Kilombero Basin. Road access is difficult with numerous bridges and river fording’s. Therefore the number and types of loads to transport the rig is a major consideration. The rivers and fords may eliminate the possibility of using low loaders. Highly transportable rigs that can break down into smaller loads would have a distinct advantage regarding logistics. Prior to being included in the tender Contractors who propose suitable rigs will be required to visit the location and access roads to confirm they can manage the roads, bridges and river crossings. Contractors to verify they can or will be legally organized to operate in Tanzania. Contractor will be responsible for delivering the rig to location for a lump Sum Mob Fee and removing the rig from location for a lump sum Demob fee. Due to the weather window drilling operations must be undertaken commencing in Early September 2016. Any successful bidder will be required to show that the rig will be available to spud the well at the required date taking into account mobilization times, access requirements and Tanzanian importation requirements if necessary. No dayrate or standby rate will be paid until Spud. a) Demonstrate that it has Oil and Gas Industry standard HSSE policies and procedures and that these are followed. i) Indicative costs in USD for mobilization, operating day rate and demobilization. It is recognized that these costs are indicative only and subject to formal tendering and negotiation. If you have interest in participating in this program you are requested to supply the required information in order as per the list above. We would hope to receive the requested information by Thursday 3 December 2015. Please do not hesitate to contact David Thomson for any required clarifications. This invitation for prequalification follows the General Procurement Notice for this project that appeared in the Daily News Issue No. 11,472 of 20th July 2015. The Tanzania Petroleum Development Corporation has set aside funds towards the cost for supply of safety gears and it intends to apply part of the proceeds of this fund for payments under the contract for supply of safety gears. The TPDC intends to pre-qualify applicants for supply of safety gears. Pre-qualification will be conducted through the National Competitive Tendering method and follow procedures specified in Regulation 119 of the Public Procurement (Regulations– Government Notice 446 of 2013, and is open to all Applicants as defined in the Regulations. Interested applicants may obtain further information from and inspect the pre-qualification documents from the Secretary of the Tender board, Tanzania Petroleum Development Corporation, Benjamin William Mkapa Pension Towers, Tower “A”, Azikiwe/Jamhuri Streets at room number 401 on the 4th floor, P .O. Box 2774, Dar-es-Salaam. Starting from 09:00 to 3:00 local hours on Mondays to Fridays inclusive except on public holidays. A complete set of pre-qualification documents in English may be purchased by interested Applicants on the submission of a written application to the Managing Director, Tanzania Petroleum Development Corporation, P. O. Box 2774, Dar-es-Salaam upon payment of a non-refundable fee of Tanzania shillings one hundred thousand (TZS 100,000). The method of payment will be either by Cash, Banker’s Draft, or Banker’s Cheque, payable to Managing Director, Tanzania Petroleum Development Corporation. All applications one original plus two copies properly filled in, and enclosed in sealed envelopes must be delivered to the address as shown in paragraph 5. Applications will be opened promptly thereafter in public and in the presence of Applicants’ representatives who choose to attend the opening ceremony at the Board room of Tanzania Petroleum Development Corporation, Benjamin William Mkapa Pension Towers, Tower ‘A’, 10th Floor, Room No. 106, Azikiwe/Jamhuri streets, Dar-es-Salaam. The outer cover shall be clearly marked “TENDER NO: PA/031/2015-16/G/01 FOR PRE – QUALIFICATION OF SUPPLIERS FOR SUPPLY OF SAFETY GEARS”, Not to Be Opened Before 11:00 hours local time on Thursday 10th December, 2015. Late applications, portion of applications, electronic applications, applications not received, applications not opened and not read out in public at the tender opening ceremony shall not be accepted for evaluation irrespective of the circumstances. The Tanzania Petroleum Development Corporation has set aside funds towards the cost for supply of spare parts/consumables to be used in Natural gas infrastructure. Spares will be needed under normal condition and on emergency cases. The applicants shall be able to supply relevant spare/tools required to be used in operation and maintenance of the gas pipeline infrastructure which includes: Electrical Systems, mechanical systems, SCADA systems, Cathodic Protection (CP) spares, Instrumentation spares, water treatment systems, gas metering system, communication and CCTV spares, Overhead cranes and Solar Energy System. Pre-qualification will be conducted through the International Competitive Tendering method and follow procedures specified in Regulation 119 of the Public Procurement (Regulations– Government Notice 446 of 2013, and is open to all Applicants as defined in the Regulations. Interested applicants may obtain further information from and inspect the prequalification documents from the Secretary of the Tender board, Tanzania Petroleum Development Corporation, Benjamin William Mkapa Pension Towers, Tower “A”, Azikiwe/Jamhuri Streets at room number 101 on the 10th floor, P .O. Box 2774, Dar-es-Salaam from 09:00 to 3:30 local hours on Mondays to Fridays inclusive except on public holidays. A complete set of pre-qualification documents in English may be purchased by interested Applicants on the submission of a written application to the Managing Director, Tanzania Petroleum Development Corporation, P. O. Box 2774, Dar-esSalaam upon payment of a non-refundable fee of Tanzania shillings one hundred thousand (TZS 100,000). The method of payment will be either by Cash, Banker’s Draft, or Banker’s Cheque, payable to Managing Director, Tanzania Petroleum Development Corporation. All applications one original plus two copies properly filled in, and enclosed in sealed envelopes must be delivered to the address as shown in paragraph 5. Applications will be opened promptly thereafter in public and in the presence of Applicants’ representatives who choose to attend the opening ceremony at the Board room of the Tanzania Petroleum Development Corporation, Benjamin William Mkapa Pension Towers, Tower ‘A’, 10th Floor, Room No. 106, Azikiwe/Jamhuri streets, Dar-es-Salaam. The outer cover shall be clearly marked “TENDER NO: PA/031/2015-16/G/14 FOR PRE – QUALIFICATION OF SUPPLIERS FOR SUPPLY OF SPARE PARTS TO NATURAL GAS INFRASTRUCTURE”, Not to Be Opened Before 11:00 hours local time on Friday 18th December, 2015. Tullow Kenya B.V. is a subsidiary of Tullow Oil Plc., Africa’s leading independent oil & gas exploration and production company. The Company is in various stages of exploration across its licenses in Kenya. Tullow Kenya requires a reliable and effective In-Vehicle Monitoring System (IVMS) for use in company light vehicles both in town and field locations in support of company operations. This is a request for an Expression of Interest IEOI) from interested and capable providers for the provision and maintenance of a reliable, effective and real time IVMS for vehicles. Compatibility with the current hardware system (SkyWave Surelinx 81 00cc Hardware) shall be considered an added advantage. REQUEST FOR EXPRESSION OF INTEREST (EOI) Tullow Kenya B.V.
Tullow Kenya B.V. (TKBV) is a subsidiary of Tullow Oil Plc, Africa’s leading independent Oil & Gas Exploration and Production Company. The company wishes to engage the services of an experienced building maintenance services provider to support its operation in Nairobi. The service provider shall be required to comply with all applicable Kenyan regulations, Tullow Oil Environmental Standards, International Best Practice, and the highest level industry standards and those related to environment, health and safety. The EOI submission should demonstrate the company’s ability to achieve such compliance. The scope of work entails the provision of building maintenance services to include preventative and unplanned maintenance schedules including (but not limited to) electrical, plumbing, HVAC, mechanical systems and additional ‘handyman’ services as required. This maintenance is required for the company’s offices as well as residential establishments within Nairobi. Potential service suppliers may be requested to submit further information for pre-qualification prior to being included in any Bidders List. Companies interested in participating in the tender are requested to submit their Expression of Interest, accompanied by all relevant certificates, to include National Construction Authority registration, to support their application. The completed documents should be submitted not later than 1200hrs, August 21, 2015, in plain sealed envelopes, clearly marked in Bold Letters EOI: Provision of Building Maintenance Services and addressed to: Contracts Manager, Tullow Kenya B.V., West End Towers, Waiyaki Way, P.O. Box 63298, 00619, Nairobi, Kenya.